The gear pumps of the PM series have a wide range of models that allow the transfer of flow rates ranging from 25 l / min to 280 l / min. 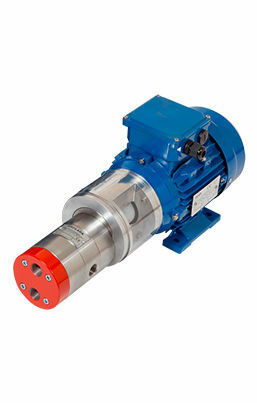 This type of pumps are suitable for use in the most diverse sectors due to their design and configuration. It can also be optionally equipped with a heating chamber for those fluids that require, for optimal transfer, a temperature higher than that of the room temperature. 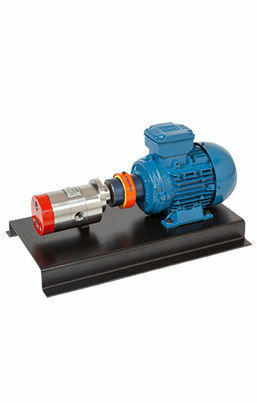 These pumps are suitable for working in a wide range of applications thanks to their safety, reliability and easy maintenance. In turn, the versatility of the PM Series allows to be built with the right materials to work and handle the different fluids in the most varied industrial sectors such as the chemical, pharmaceutical, paper, textile and food industries.